OMG Posters! 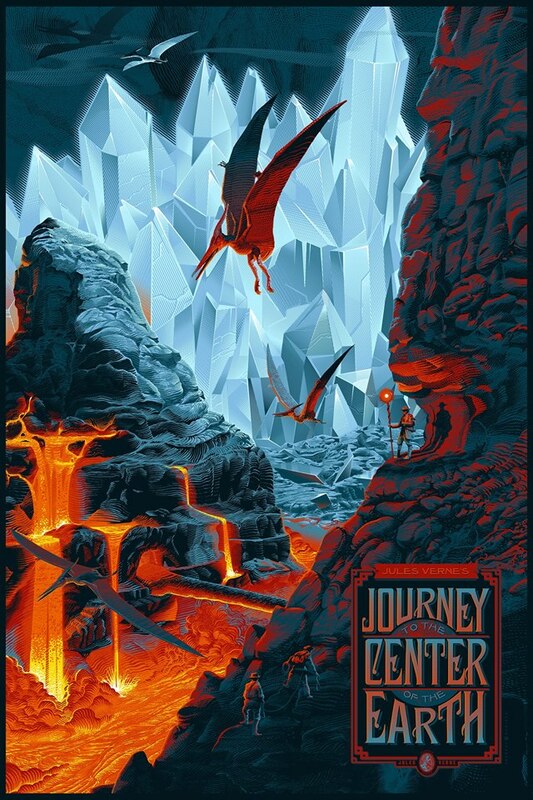 » Archive Laurent Durieux's "Journey to the Center of the Earth" Poster (Onsale Info) - OMG Posters! To celebrate their launch, the brand-new Nautilus Art Prints will release this mindblowing new poster by Laurent Durieux. It’s a 24″ x 36″ screenprint, will be sold as a 72 hour timed-edition, and will cost €45. The variant has an edition of 90 and will cost €65. These go up Sunday, March 30th at 1pm EST. Visit Nautilus-ArtPrints.com. Jesus, his work is amazing. Not sure about the film, but his stuff is mesmerizing.